March 8, 2011 — Watch CNBC’s Hampton Pearson cover NIRS 2011 policy conference and new public opinion research report. He reports that Americans are more pessimistic than ever about their retirement prospects, and that Washington leaders are “tone deaf” to their concerns. 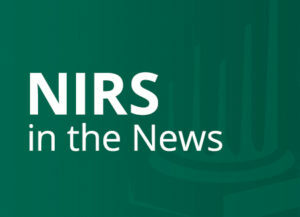 Pearson interviews Senator Tom Harkin and Diane Oakley, NIRS executive director.